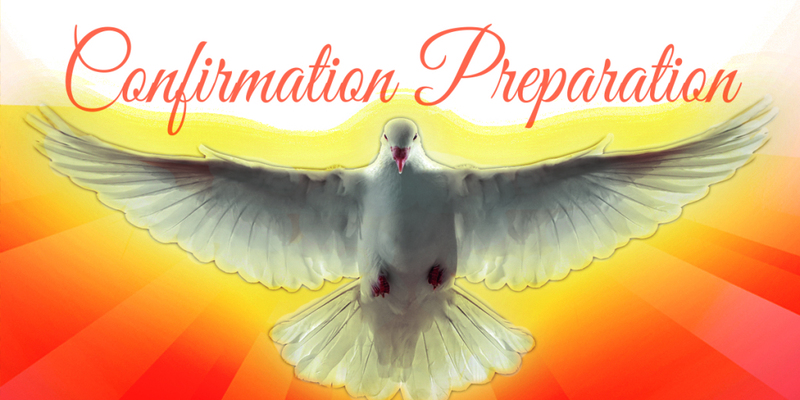 Please note: Preparation for the Sacrament of Confirmation must be completed through a parish-run two year program. If you wish to attend St. Pius V’s program (which meets on Wednesday nights), then you must submit a Faith Formation Registration form. If you have questions, please contact the Faith Formation Director. Actively participate in class and events with a positive attitude. Behave & dress appropriately and respectfully. Arrive on time to class and all related events. Not use cell phones at class or related events. Show personal responsibility when participating in and completing requirements, such as, tracking your own service projects, communicating with your Sponsor, etc. Pray for growth in your faith life and open your heart and mind to the workings of the Holy Spirit. Place your talents at the service of others. Attend weekend Mass and Holydays and receive the Sacraments of Eucharist and Reconciliation regularly. Develop an adequate knowledge of the Catholic faith. Be in a state of grace when receiving the Sacrament of Confirmation. Parents are the primary teachers and role models of Christian discipleship for the children. Hence, you must be a vital part of your teen’s preparation for the Sacrament of Confirmation and guide them on their journey of faith. It is essential to attend Mass with them each Sunday and demonstrate the importance of regularly receiving the Sacrament of Reconciliation. Finally, pray for your son or daughter to be open to this process and allow Christ to enter fully into his/her life. Candidates are expected to attend every session and are allowed no more than two excused absences. Candidates must also be on time. Tardiness of 15 minutes or more will result in being marked absent. Participation in class discussions, questions, and activities is of utmost importance. By enrolling in this process, there is an expectation that Candidates will make the effort to engage in class. Jesus came “not to be served, but to serve.” (Matthew 20:28) The Church is a servant community and all those accepting full membership into the Church are also accepting the responsibility to serve. Candidates have been blessed with many special qualities and gifts. A sign of Christian maturity is sharing these gifts with others and living out our call to Service. Catechism of the Catholic Church #2182 - Participation in the communal celebration of the Sunday Eucharist is a testimony of belonging and of being faithful to Christ and to his Church. The faithful give witness by this to their communion in faith and charity. Together they testify to God's holiness and their hope of salvation. They strengthen one another under the guidance of the Holy Spirit. If you were not Baptized at St. Pius V Parish, we a copy of your baptismal certificate/note from parish where the Sacrament was received. If you did not receive First Eucharist at St. Pius V Parish, we will need a copy of the certificate/note from the parish where the Sacrament was received. An interview is conducted with each Candidate in March of 10th grade. This interview is to discuss the Candidate’s faith journey and level of the Candidate’s readiness to receive the Sacrament of Confirmation. Readiness is determined by the Candidate’s desire to receive the Sacrament and satisfactory completion of the requirements. This interview is conducted with our priest. In the second year of the program each youth will choose a sponsor. The youth and sponsor will work together on the Faith Sharing Manual and video series. A workbook will be sent home with the youth. Sponsor/Candidate Homework video series link Please register for FORMED.org by going to spvsj.formed.org - enter email address and create a password.